LAF Technologies is a leading national supplier of high quality Biological Safety Cabinets. 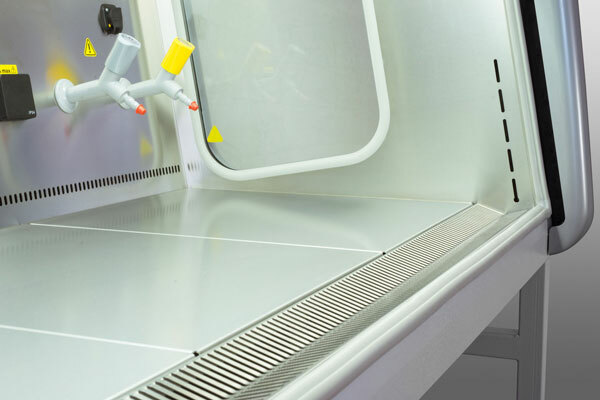 With over 30 years of experience in the supply and certification of contamination control systems, we have sold many thousands of Laminar Flow Cabinets and Biological Safety Cabinets throughout Australasia over time. Our Italian made Euroclone Biological Safety Cabinets have always been viewed by our staff and customers as the ULTIMATE range of safety cabinets. Simply put, they offer features, performance and reliability far beyond the capabilities of many competitive cabinets on the market. If you have ever seen or used a Euroclone cabinet, you will already know the quality difference when compared to many other cabinets. We have been supplying the Euroclone range exclusively into the Australasian market for over 16 years. This specific range has been supplied and installed into countless facilities across Australasia over this period. Many leading Australian Research, Pharma, IVF, Diagnostic and Bio security organizations have even now standardized on Euroclone cabinets. Unlike many cabinets on the market which are modified locally to try and comply with the Australian standards, our Euroclone products are batch manufactured in Europe to specifically meet the rigorous Australian standards. At first sight and touch, you can easily see the difference in quality and construction when compared to many competitive products. Backed by a comprehensive THREE year warranty, this range is fully supported nationally by our own in house NATA accredited service department with parts and on call technical assistance readily available. Feel free to call us today on 1300 306 002 to learn more, or visit our website HERE.